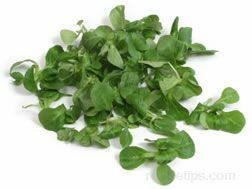 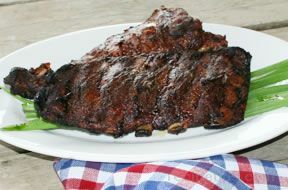 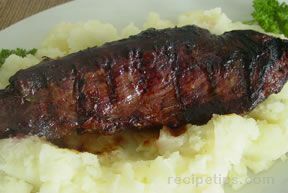 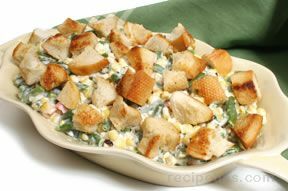 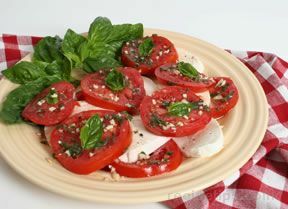 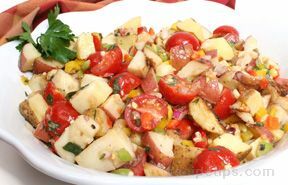 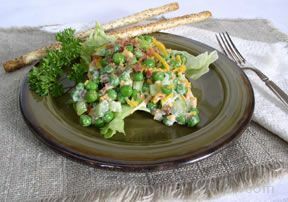 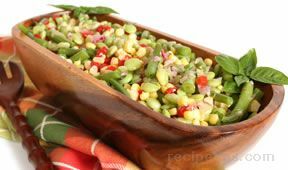 A great side dish to serve with grilled burgers or steaks. 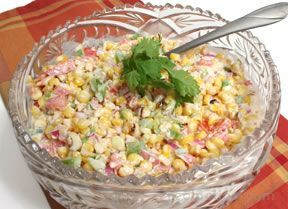 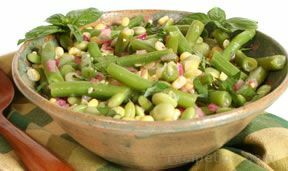 This corn salad is perfect for using fresh seasonal vegetables, such as sweet corn, tomatoes, and peppers. 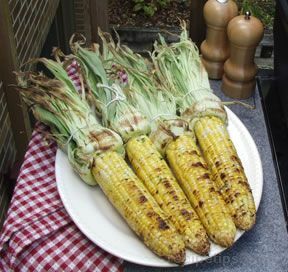 Grilling the sweet corn creates a smoky flavor that pairs well with other grilled food. 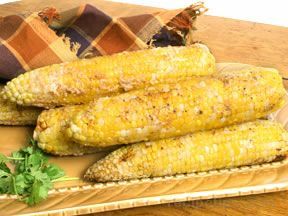 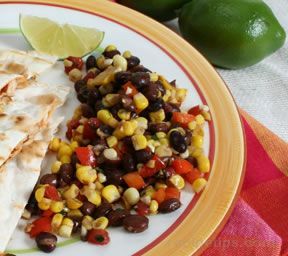 This recipe can be made with grilled or boiled corn. 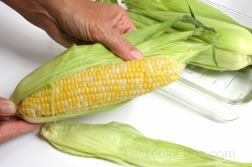 If boiling corn, bring a large pot of water to a boil and add corn until slightly cooked, approximately 3 minutes; drain and pat dry. 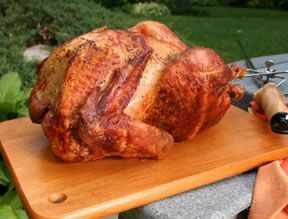 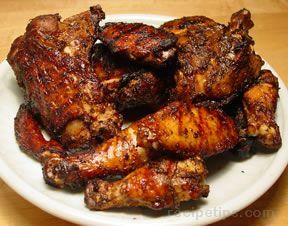 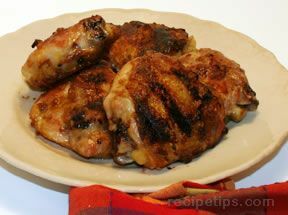 If grilling, preheat the grill, oil the ears, and grill for 5-10 minutes; allow to cool. 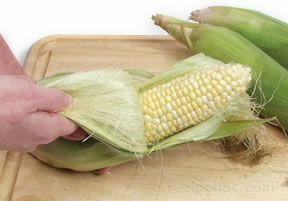 Over a cutting board, hold each cob by the pointed end and using a sharp knife, cut down along the cob to strip off kernels. 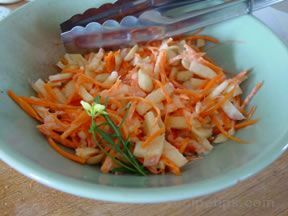 Turn cob after each cut. 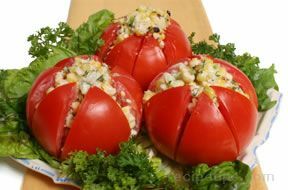 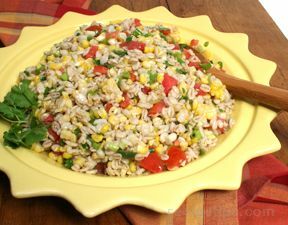 In a salad bowl, combine the corn kernels, tomatoes, bell pepper, celery, onion, and jalapeno chile, tossing to mix well. 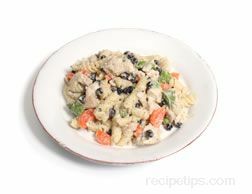 In a medium sized bowl, whisk together the mayonnaise and yogurt until smooth. 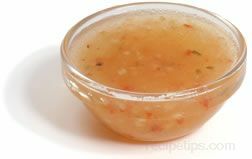 Whisk in the chicken broth and vinegar. 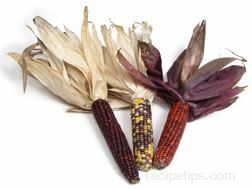 Pour over corn mixture and toss well. 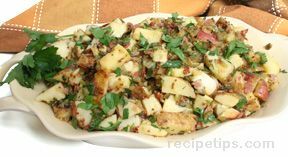 Sprinkle with cilantro and parsley before serving, if desired.